Did A Medical Error Turn Your Life Upside-Down? 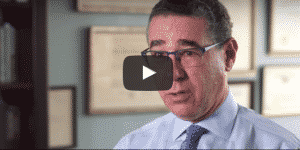 Fight Back With Help From Our New York Medical Malpractice Lawyers. When you see a doctor or go to a hospital for help with a medical issue, you trust that your doctor will have the skill to care for you properly. Unfortunately, sometimes physicians and other healthcare providers fall short of required standards of care. The attorneys at De Caro & Kaplen, LLP provide compassionate legal counsel to medical malpractice victims and their families—and we’ve been doing it for over 35 years. Medical malpractice is when a healthcare provider is professionally negligent, resulting in injury to the patient. It may involve not doing something (e.g. a necessary medication was not given) or a negligent act (e.g. performing surgery on the wrong part of a patient’s body, or ignoring a patient’s complaints or symptoms, resulting in a flawed diagnosis). Any type of provider can be held liable for malpractice, whether it’s a physician, hospital resident, hospital intern, physician’s assistant, nurse practitioner, nurse, therapist, or dentist. 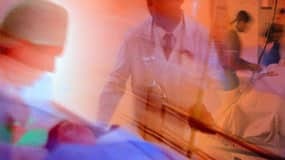 Claims may also be brought against hospitals, urgent care centers, and clinics whose employees’ careless behavior caused patient harm. What Makes Us Qualified to Take On Your Case? According to the Journal of Patient Safety, 440,000 patients die each year as a result of preventable medical errors. The sad truth is, many will never receive adequate compensation for their injuries. 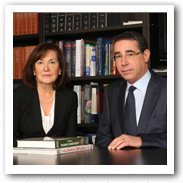 Partners Shana De Caro and Michael Kaplen each have spent over 35 years in the area of medical malpractice litigation. Michael is board-certified* in the area of medical malpractice by the American Board of Professional Liability Attorneys and serves on their board of directors. Michael has taught courses in medical malpractice as well as trial practice techniques at St. John’s University School of Law. Shana and Michael have been invited to lecture at hospitals and to patient groups about medical malpractice issues. Both have served as members of the New York State Supreme Court medical malpractice review panels. As an established firm with deep-rooted relationships in New York, we have the resources needed to build a solid claim against the doctor, hospital, urgent care center, or other healthcare provider responsible for your injuries. Our process includes gathering the appropriate medical and hospital records; analyzing your records, test results, and pathology studies; and securing expert opinions and expert testimony in court. When doctors and hospitals get into trouble, they seek out lawyers and insurance companies to protect their interests. Aren’t you entitled to knowledgeable and experienced malpractice lawyers to fix the blame and represent your interests? 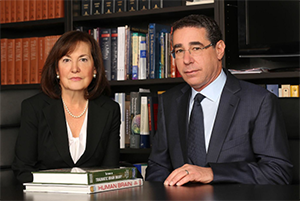 At De Caro & Kaplen, LLP, your case will only be handled by our experienced New York medical malpractice attorneys. Shana and Michael don’t represent doctors, hospitals, or insurers—their only interest is you. You pay nothing up front to secure the services of our lawyers. We only get paid if and when we obtain a favorable settlement on your behalf. If you think you or a loved one is a victim of medical malpractice, consult with our attorneys today. * The American Board of Professional Liability Attorneys is not affiliated with any government authority. Certification is not a requirement for the practice of law in the State of New York and does not necessarily indicate greater competence than other attorneys experienced in this field of law. Our attorneys have the passion and persistence to take on the toughest medical malpractice cases—and win. Call us today for your FREE consultation. How do I report medical negligence? How to prove a malpractice suit? How do we prove a medical malpractice case?